Walmart.com now you can buy this Intex Queen 2-in-1 Guest Airbed for just $19.97 (regularly $39)! Choose free in-store pickup if available near you; otherwise, shipping is free on orders of $50 or more. IntexThis mattress has 2 separate queen-sized airbeds included that can be locked into place. Perfect for camping, slumber parties, and more! 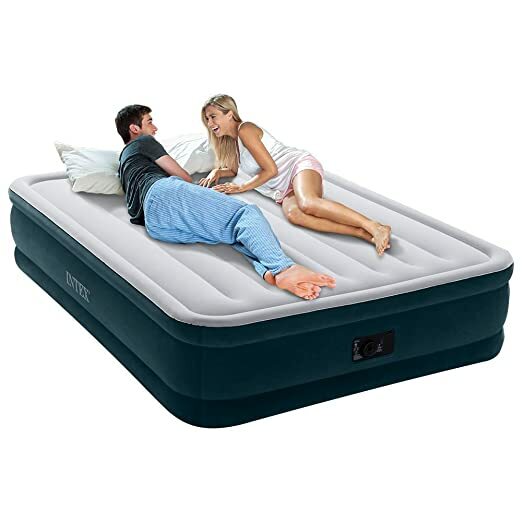 Walmart.com now you can buy this Intex Twin Classic Downy Inflatable Airbed Mattress for just $7.97 (regularly $15.97). Choose free in-store pick up. 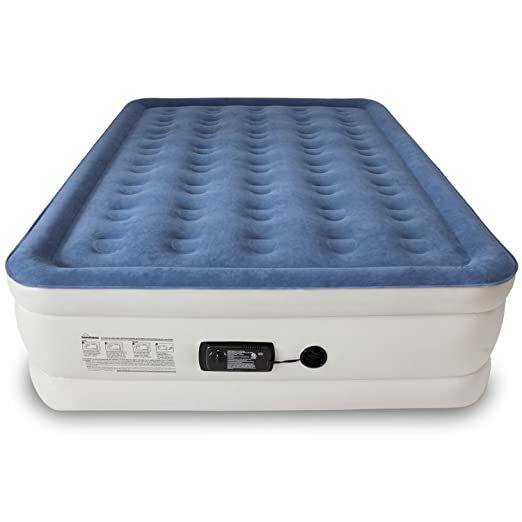 You can aslo get this Intex Queen Prestige Downy Airbed Mattress with Hand-Held Battery Pump for just $14.37 (regularly $22.96). Today only, Amazon is offering up this Intex Dura-Beam Series Elevated Comfort Airbed with a Built-In Electric Pump – queen size for just $34.99 shipped. This bed has a soft flocking on the top and sides of the bed and it is raised 16″ off the floor to make it easier to get on and off. Walmart.com now you can get this Intex 22″ Queen Raised Downy Airbed with Built-In Electric Pump for just $36.99 shipped (regularly $47.99). 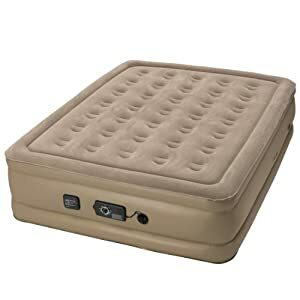 This Airbed is a whopping 22 inches from the floor, and is an official queen size making it perfect for fitted sheets. It offers a capacity of 600 pounds and has a built-in electric pump, and a carry bag. Today, February 17th only, Amazon is offering this Queen Size WonderSleep Classic Series Air Mattress for just $79.69 shipped (regularly $149.99) – BEST PRICE! This air mattress can easily be inflated or deflated in as little as 4 minutes with the internal motorized pump. The air filled columns help make the mattress more firm and supportive, to give you a more comfortable night of sleep. It is made of a puncture resistant material and even includes a carrying bag! Today, February 22nd only, Amazon is offering this ntex Pillow Rest Raised Twin-Size Airbed with Built-in Pillow and Electric Pump for just $19.99 (regularly $39.99). 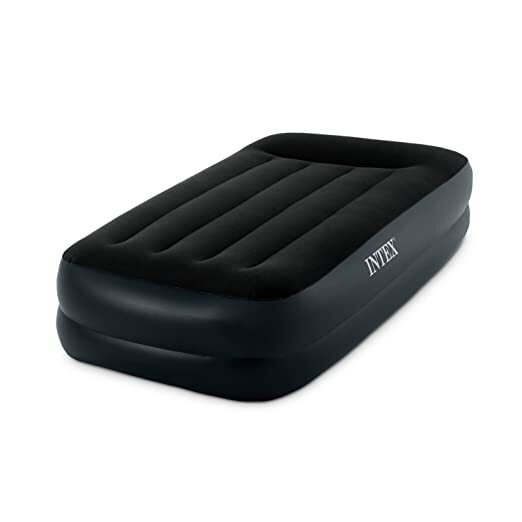 This airbed features a built-in electric pump and is made with a waterproof flocked top with vinyl beams and a built-in pillow for added comfort! 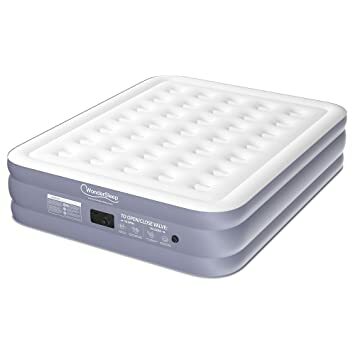 On Walmart.com where you can now buy this Coleman Queen Airbed Folding Cot with Side Tables for just $99 shipped (regularly $127.49)! 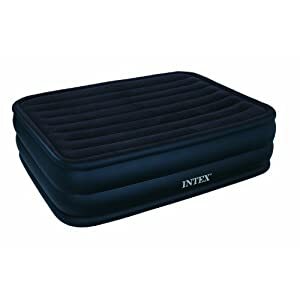 Today, July 13th only, Amazon Prime Members can go to Amazon and get this Twin-Sized Intex Pillow Rest Raised Airbed with Built-in Pillow and Electric Pump for just $16.71 (regularly $39.99)! This airbed features a waterproof flocked top with vinyl beams, sturdy construction and built-in pillows for added comfort!